Money: those with no less than $500,000 or $1 million to invest in a qualified regional center in the United Realistically, those with family ties will seek to apply for residency through this process if such ties are of a close degree, the waiting period is not long and the petitioner, or sponsor, has the financial ability to endorse such an application. Those with a higher education, referred to as ‘skilled or professional workers,’ will need to identify a U.S. sponsor willing to hire them for a specific job, at a specific salary, with a specific job description. Often times this poses a serious challenge for any foreign national as U.S. employers generally seek to hire employees from within the U.S. Furthermore, the employer must demonstrate that it is financially solvent during the entire process time period in order to ensure that the employee will continue to be gainfully employed at the end of the process. Consequently, we are left with the “money” alternative. The EB-5 program was created as a job creation and foreign investment program specifically to encourage high net worth individuals to migrate to the U.S., stimulate the U.S. economy and make a valuable contribution to society. The BLG team consists of top legal attorneys and business professionals who, each in their own realm, are able to advise clients and provide written reports for the creation of regional center submissions. Together, the team provides expertise and hands-on guidance at both the initial stage and throughout, for both the investor and the regional center sponsor. The teamprovides developers with a ‘one stop shop‘ of economists, business plan writers, marketing and IT experts, SEC attorneys, and U.S. EB-5 immigration authorities — all under the direction of Larry J. Behar, a Florida immigration lawyer with more than three decades of experience in immigration law. 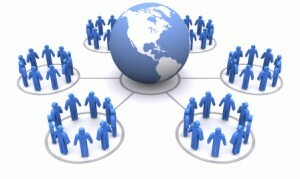 The team has established regional centers in several states and has pending applications for numerous regional centers. Each regional center submission is created with the uniqueness that lies behind each project and spreads across a vast range of uses, which include: tourism resorts, mega shopping centers, a hospital, gold mines, land development projects and multi-use retail hotels throughout the country. Are you a foreign investor seeking to live and work in the United States? Are you a developer seeking new sources of investment capital? If so, the EB-5 program might be your answer. The Behar Law Group helps foreign investors and developers benefit from the congressionally mandated EB-5 program. U.S. immigration laws now encourage developers to create regional centersthat are designed to boost the U.S. economy through job creation. Foreign investors who have one million dollars to invest (or a half-million dollars in some cases, when the investment project is in a targeted employment area) may be eligible to receive an EB-5 investor visa, a wonderful path toward permanent residency. A foreign investor applying for an EB-5 visa may live anywhere in the U.S., and over time, an EB-5 visa holder may be eligible to become a U.S. Citizen. Initially, the firm helps developers establish a regional center. Once the regional center is created and approved by USCIS, the firm then acts as the exclusive visa processor for foreign investors seeking an EB-5 visa. From there, the Behar Law Group offers comprehensive immigration services on behalf of the EB-5 visa holder throughout the road to permanency. Florida immigration attorney Larry J. Behar has been practicing in immigration law for more than 30 years. He is the author of “How to Immigrate to the USA,” a step-by-step immigration guide, and “EB-5 United States Immigration Through Investment,” which has helped thousands of people seeking to enter and live in the United States. Mr. Behar cares about his clients and works diligently to find solutions to complex immigration challenges. The EB-5 immigration program is an opportunity for qualified foreign nationals to become permanent residents “green card” of the United States. The EB-5 franchising (a form of independent investment) option, allows foreign immigrants to invest into a franchise rather than a regional center, bringing down the overall investment risk. EB-5 franchising allows foreign investors to be “hands on” from beginning to end. Live, work, and attend any school in the U.S.
Royalty arrangement- pay the franchisor based on your store’s gross profit. Step-by-step timeline- Learn the steps to joining a franchise business- from the application to taking over stores in a few months. Discovering the best franchise- Figure out what the best franchise is for you and decide if it is a good fit. NOTE Costs vary depending on the franchise you wish to invest in, as well as how many you choose to invest in. 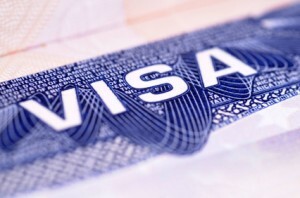 The EB-5 visa preference category, created by Congress in 1990, is available for immigrants seeking to enter the United States by investing $1 million into a legal entity, which in turn benefits the U.S. economy and creates jobs. The EB-5 independent investment allows the investor to be “hands on” from start to end. Investors have the liberty of starting a legal entity or investing in a U.S. franchiseof their choice.